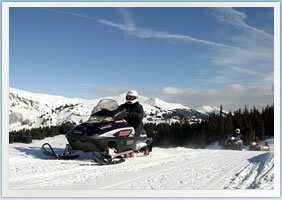 Denver Snowmobile Tours & Rentals are located in the mountains just outside of Denver, Colorado. Please plan on allowing yourself adequate driving time to arrive one half hour prior to your scheduled Snowmobiling Adventure. Located just a short drive from the metro area, Denver Snowmobiling Tours & Snowmobile Rentals provide an adventurous escape into the heart of Colorado’s Rocky Mountain backcountry. 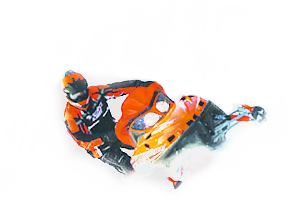 With a variety of Snowmobile Tour and Rental options to choose from, we offer snowmobiling packages that are ideally suited to any experience level – from first-time snowmobilers to experienced riders. Whether you select a guided tour or choose to set out on a self-guided snowmobile rental, you’ll find a virtually endless supply of pristinely groomed trails and deep, powder-filled bowls and meadows to explore. Our guided snowmobile tours provide a first-class experience, with a low guest-to-guide ratio and friendly, knowledgeable guides. 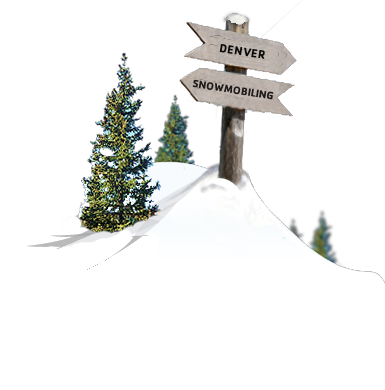 For guests who would prefer to discover the Colorado backcountry at their own pace, our Denver Snowmobile Rentals provide the independence to do so. Snowmobile Rentals access over 50 miles of groomed trails and more than 55,000 acres of backcountry terrain for guests who favor blazing their own. 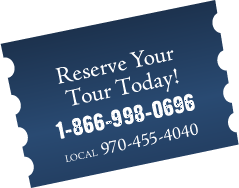 For reservations, or more information on Snowmobiling Tours and Snowmobile Rentals in Denver, Colorado, contact us toll free at 1.866.998.0696 or locally at 970.455.4040.